Tracey Krajenke was born in Michigan and has had a passion for horses since chilhood.She started riding at the age of seven, exploring Western riding and Hunters before discovering her true equestrian love-Dressage-at age 12. Since then,she has devoted her life to the sport. 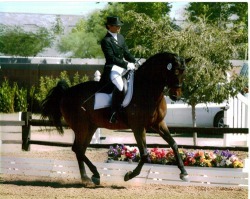 For over 20 years, Tracey has trained Dressage horses of all breeds and levels and helped other Dressage enthusiasts of all ages find success in this challenging discipline.Many of Tracey's students over the years have earned their USDF medals, won numerous USDF and USEF awards, and have been nationally ranked. She especially enjoys helping students bring their horses up the levels and has been very involved with the USDF Young Rider programs. Tracey accompanied and coached one of her students to the 2008 NAYRC in Parker, CO. Where the Region 5 Junior team took the Gold, and the Young Rider team came in fifth place! Tracey herself has numerous USDF and USEF awards to her credit and has earned her USDF Bronze and Silver medals. She has appeared in the CHRONICLE OF THE HORSE fifteen times, a testimony to the years of dedication and hard work. She and her family chose to make Arizona their home in 1994. She has been married to her wonderful husband Steve for 25 years. Their 14 year old daughter Mackenzie shares her mother's love of horses and has already made a name for herself in the highly competitive sport of Reining, ranking nationally numerous times, and in 2008 was Top Ten in the world in her division. 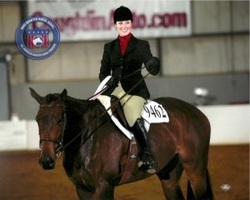 Riding Instructor, Alicia Ward has over 20 years of teaching experience. Many of Alicia's students have gone on to win National Championship honors in a variety of divisions. Backed by a BA in Equestrian Science from Stephens College, Alicia shares with her riders not only instruction, but a passion for horses and riding. A graduate of At One Yoga University Yoga Teacher Training, Alicia incorporates her knowledge of anatomy and alignment in the teaching of her students. A focus on alignment creates balance and the ultimate connection of horse and rider. An intuitive teacher, Alicia customizes each lesson appropriate to the goals of the individual rider. Alyse Roberts has been riding horses since she was a very young girl. After successfully showing as a youth, she knew that a career as a horse trainer was the right path for her to follow. To hone her skills, Alyse has worked with Industry Greats, including Nancy Sue Ryan and Beckey Schooler. Although Alyse is young, she has taken the HUS world by storm!. Her recent wins include a 2010 NSBA World Champion in Ltd. Open HUS Maturity, 2010 Reichert-Reserve Champion Ltd Open HUS Maturity, 2011 Congress Reserve Championship in 2 yr old HUS, multiple Congress Top-Tens, as well as Top Five and Top Ten finishes in the Congress Masters HUS three years in a row. 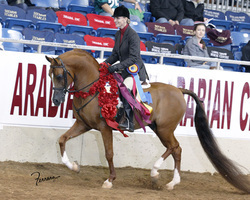 2011 Paint World Champion in Jr. HUS, and Reserve World Champion in the 2 yr old HUS at the 2011 Paint Worlds. Alyse’s horses come first. Her dedication to keeping them happy, healthy, and sane is clear to all that know her. Loma Vista Farm is always looking for new trainers...if you are interested in training out of their facility please contact Sean at 602-510-6608.